For years I have known that Disney World hotels sometimes show up as “mystery” hotels on discount travel sites Hotwire and Priceline, but I never put any effort into finding them. Well in the past 6 months I have used these sites MANY times to get cheap Disney World hotel rooms and have even stayed at a Disney resort for $48/night. In this post, I’ll show you how to find Disney hotels in disguise on these sites and suggestions for saving even more with a promo code. You can even link these reservations to My Disney Experience and get all of your Disney benefits – free MagicBands, Magical Express, and more. Here are all of my Hotwire Disney World tips and tricks to help you save money on your Disney vacation! If you’ve never used Hotwire or Priceline before, here’s the gist. When you book one of their “Hot Rate” or “Express Deal” hotels, the name of the hotel isn’t revealed until after you pay. You’ll know it’s amenities, area, and ratings, but not the hotel. Your reservation is non-refundable, so you won’t be able to make any changes to after you book. You can usually only find Disney hotels up to 30 days in advance, so this will only work for a last-minute trip. Okay, now on to how to discover mystery Disney World hotels on Hotwire. 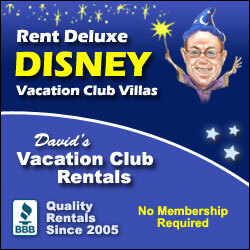 To find Disney hotels on Hotwire, first do a search within Orlando for your dates. To narrow your results to hotels that could be Disney hotels, limit the area to Walt Disney World – Bonnet Creek. And here is the key to finding Disney World hotels on Hotwire: any hotels in the Bonnet Creek area with an Airport Shuttle amenity will be Disney hotels! Disney-owned hotels are the only hotels that run an airport shuttle (i.e. Disney’s Magical Express) so far away from the airport. Here is another key piece of information: Disney Value Resort will show up as 3-star hotels, Moderates as 3.5-stars, and Deluxe as 4-stars. You can sometimes even figure out which resort you are booking by the bed choice (if you are familiar with the offerings at the resort), location, or even guest reviews. Here is a 3-star mystery hotel in Bonnet Creek with an airport shuttle, so we know this is a Disney Value Resort (learn what to expect at the Disney Value Resorts in this post). The most common Value resort to show up on Hotwire is All Star Sports since it is usually the last to fill up. Immediately after you book the hotel the name will be revealed to you. Turns out I was right – it was All Star Sports! Often times you can find promo codes that will give you an additional amount off a Hot Rate hotel (usually $10 to $20 off a $100 hotel or 10% off your total). The best way to get those is to sign up for Hotwire’s email newsletter here. To get a promo code via email, I suggest lurking on the Hotwire site for a few days and then not visiting it. Do at least a few days before you want to book. It is almost guaranteed that Hotwire will worry that you aren’t going to book and will send you a promo code discount to entice you to book! 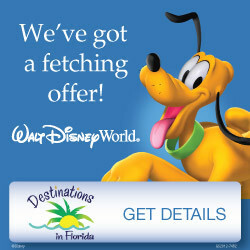 The strategy is much the same on Priceline – search within Orlando, then narrow results to the areas Walt Disney World – Disney Springs and Walt Disney World – Bonnet Creek. Disney hotels are NOT listed as having an airport shuttle on Priceline, so it’s much harder to narrow your results. I was about 90% confident the hotel I was booking was one of the Port Orleans resorts since it matched the result on Hotwire that confirmed Port Orleans Riverside. I booked it and thankfully I was right! Above is my receipt for two nights at Port Orleans Riverside for $233 total – the rack rate for my room was $272/night, or $544 total, a 57% savings. I luckily had a 10% off an Express Hotel booking in my inbox because I recently signed up for the Priceline email newsletter. It saved me an additional $20 so I’m glad I saved the email! Immediately after you book you’ll get a confirmation email from Priceline. In it, you’ll find the Hotel Confirmation Number (circled in red above). This is the number you enter on the Disney site or app to link your reservation to My Disney Experience. You can also use this number to book your Magical Express reservation here. You’ll by default have two people per room on Priceline. I don’t know if you are able to call them and have more added, so if you have more than 2 people per room I’d call them first. If you are lucky you may be able to snag a discounted Disney reservation on Hotwire or Priceline, too. Any questions? Leave a comment below or join the discussion over at The Budget Mouse private Facebook group! Thanks, Kelly! 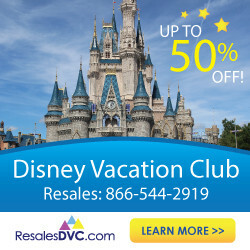 I try to find the best prices on Disney resorts anywhere on the internet! Thanks Leah!!! Are you able to get the dining packages that Disney offers as well? No, unfortunately, if you book through any third party you can’t add a dining plan. Are you eligible for the Extra Magic Hour if you book a Disney Hotel through Hotwire? Yes! You get all Disney benefits when you book a Disney hotel through Hotwire.